The night of storytelling, live music and performances is part of KQED’s LGBT Pride Month celebrations. Bay Area’s LGBTQ community is invited to share stories that will be celebrated and preserved with the help of StoryCorps’s newest initiative. Join KQED and StoryCorps for OutLoud San Francisco, a night of storytelling, live music and performances to celebrate the launch of StoryCorps OutLoud, a multi-year initiative dedicated to recording and preserving LGBTQ stories across America. 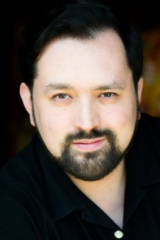 Hosted by StoryCorps founder Dave Isay and Baruch Porras-Hernandez from the San Francisco Queer Open Mic, this event will feature live music by MAD NOISE and performances by Morgan, Jaime Cortex and Matt Leavitt. Outloud San Francisco takes place Wednesday, June 25, 2014 at 7-10pm at The Chapel (777 Valencia Street, San Francisco). It is 21+, free to the public and expected to sell out. RSVPs are required and can be made at outloud-sf.eventbrite.com. StoryCorps airs every Friday morning during Morning Edition on KQED Public Radio 88.5 FM. StoryCorps, which is one of the largest oral history projects of its kind, has collected and archived more than 50,000 interviews from more than 90,000 participants. 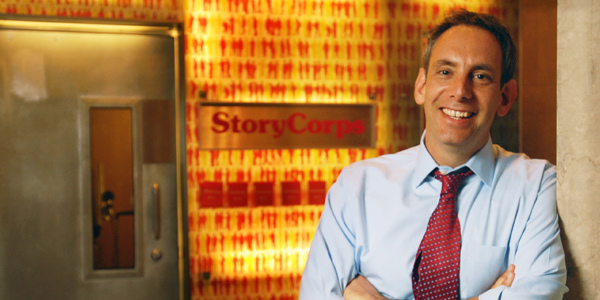 With the idea that “every story needs to be told OutLoud,” StoryCorps recognizes the profound historical importance of capturing the stories of the LGBTQ community and the urgent need for this work to happen now. The OutLoud initiative will honor the stories of those who lived before the 1969 Stonewall uprisings, celebrate the lives of LGBTQ youth, and amplify the voices of those most often excluded from the historical record. The end result will be a diverse collection of stories that will enrich our nation’s history. Stories can be recorded at the permanent StoryCorps booth at the San Francisco Public Library (100 Larkin Street, 6th floor, San Francisco). To record a story, schedule an appointment by calling (415) 557-4277 or email publicaffairs@sfpl.org. StoryCorps’ mission is to provide people of all backgrounds and beliefs with the opportunity to record, preserve, and share their stories. Each week, millions listen to StoryCorps’ award-winning broadcasts on NPR’s Morning Edition. StoryCorps has published three books that are New York Times best sellers: Listening Is an Act of Love, Mom: A Celebration of Mothers from StoryCorps, and All There Is: Love Stories from StoryCorps. Our fourth book, Ties That Bind: Stories of Love & Gratitude from the First Ten Years of StoryCorps, was released in October 2013. For more information, or to listen to stories online, visit www.storycorps.org. Find StoryCorps on Facebook at facebook.com/storycorps, and on Twitter at @storycorps.